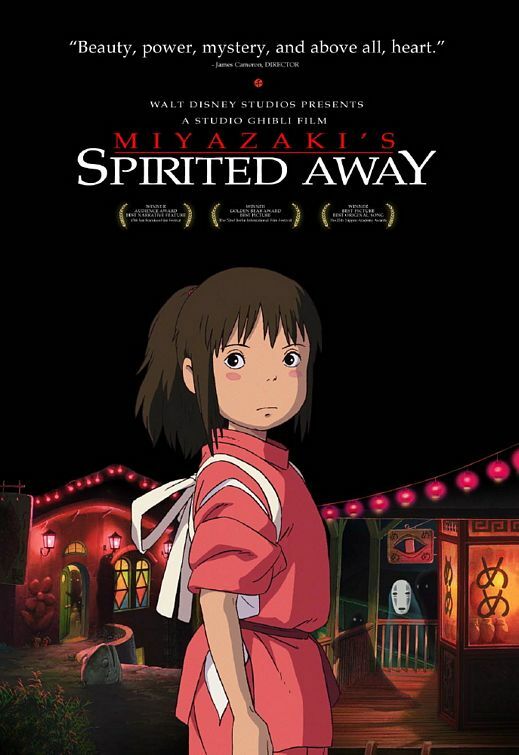 Spirited Away is the twelfth film released by Studio Ghibli, the iconic Japanese animation studio responsible for such delights as My Neighbor Totoro, Princess Mononoke and Howl’s Moving Castle. Studio Ghibli is to Japanese cinema what Disney is to western cinema and Spirited Away is a key example of this, as it’s without a doubt one of the greatest animated movies ever made. Indeed, on the year of its release in the US, it won the Oscar for Best Animated Feature, beating out the likes of Lilo & Stitch and Ice Age. 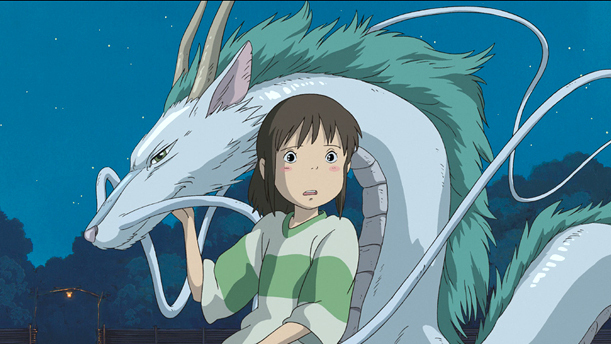 The imagination and originality on display in Spirited Away is breathtaking, with a huge variety of weird and wonderful creatures and characters throughout. From Yubaba – the bizarre witch with the massive head – to multi-limbed boiler man Kamajii, to the creepy spirit No Face and the hilarious little frog chap who keeps getting himself in the way, every character is a treat to watch. Then there’s the animation itself, which is tremendous. While animation purists will nitpick at the “frame rate” and claim that at times the characters aren’t animated very smoothly, to some (myself included) this only gives the film a more personal feel and makes it clear that it was beautifully animated by incredibly talented people. The occasional CGI shots aren’t too intrusive either, making for some wonderful shots – like those as the train crosses the ocean in the final act – that win you over with their beauty. 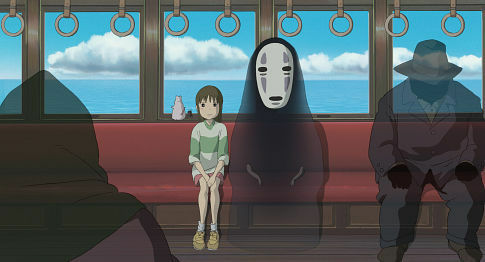 The only real negative people may draw from Spirited Away is that at 125 mins it’s maybe a little too long for a story that could essentially be told in much less time. Much of the film consists of lengthy sequences showing scenery or lingering on parts of the mysterious world Chihiro finds herself in, so if you’re after something fast-paced this might not be for you. Otherwise, this is an incredible film that all admirers of not just animation but storytelling as a whole should check out, especially if you’re new to the world of Studio Ghibli and want to see what all the fuss is. This is all the fuss.